“It is okay to fall down but, not okay to be destroyed.” Rightfully… a divorce does not denote an end but has its own complication and freedom. Realizing this, women are constantly evolving and empowering themselves to break off conventions and societal stigma. Speaking to three successful women from different genres, we perceive success is achieved when you take a stand for yourself, making them Women of Substance! Let us know how they drive their success. 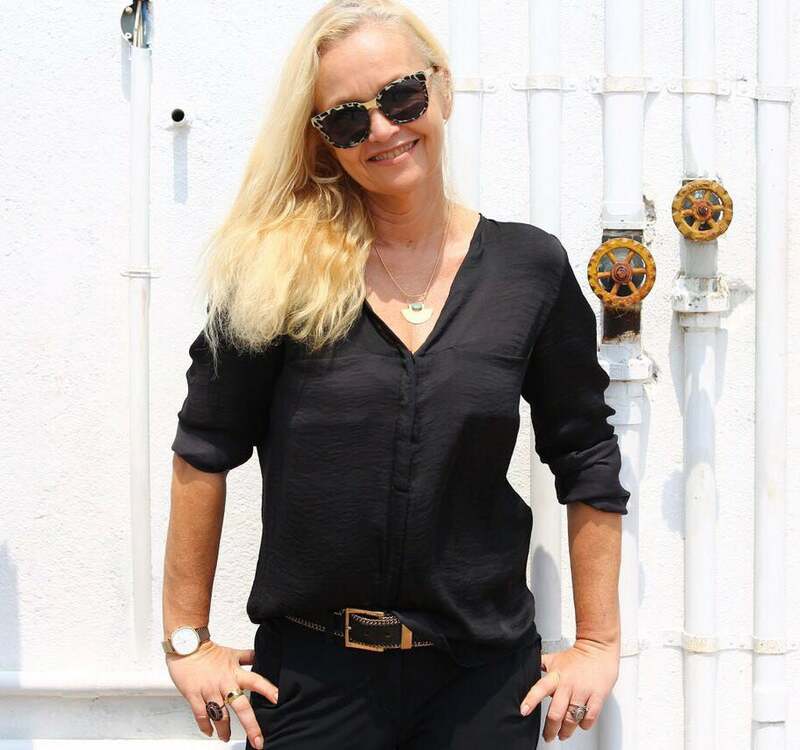 Much after a bitter separation between the founders of Hidesign couple Jacqueline and Dilip Kapur, things fell apart for her until she decided take stock of things. Jacqueline Kapur opens up on her take on her failed marriage leading to professional unrest and raising her children single handedly. Today, Kapur admits that the separation made her stronger and independent both in her personal and professional grounds. “With Hidesign, my work was never recognized with Ayesha Accessories I received my due recognition,” states Kapur. Today Jacqueline has taken a step ahead by fulfilling her creative quest with Ayesha Accessories. Back then, Kapur took extra effort to raise her children Ayesha and Milan Kapur. Explaining the necessity of being rational and transparent with children, she adds “It is very important to let the children take their decisions.” While her son Milan adds value to his father’s Hidesign, her daughter Ayesha heads the design section of Ayesha Accessories. “My children have a cordial relation with their father,” quips Kapur. The table turned around for Hidesign when it saw employees leaving the company. Jacqueline was popular among the employees for providing them with special trainings and building interpersonal relationships. Without her, the employees felt emotionally disconnected. “The smallest of the management concerns were addressed by me. After I left a gap was created,” states she. Moreover, the design department of Casa Blanca and the food sections of Promenade and Dupleix (hotels owned by the Kapur’s in Puducherry) were tremendously affected in terms of quality. “2015-2016 were the toughest years of my life. I fought legal and financial affairs all by myself,” says Kapur. She detached herself professionally from Hidesign to focus in Ayesha Accessories. Fighting all odds, she led the revenue from Rs 15 crore to Rs 17 crore in the last two years. Initially, she preferred to sob out her misery! “I took a week’s time off from the world. I took time to vent out the storm inside me,” states the President of Ayesha Accessories. After the break, Kapur resumed her normal self doing the household essentials. She shares that she loves to spend quality time with her daughter Ayesha and her pets. Nevertheless, her ‘colleagues-made-family’ also helped her battle her lows. She cheerfully says how important it is to be good to people without being result driven. Eventually, this personal trait helped her make cordial professional relations, helping her win through the crisis. “My colleagues especially my brand manager is my extended family who won my trust during those years by sharing professional responsibilities from my shoulder. That gave me strength to unwind myself for a better me,” says Kapur. Battling all the adverse situations, now Kapur plans to hit the 100 crore revenue club in the next five years. 1. “Keep your eyes open. Trust people but rationally. Sometimes salvation is attained through smallest things. 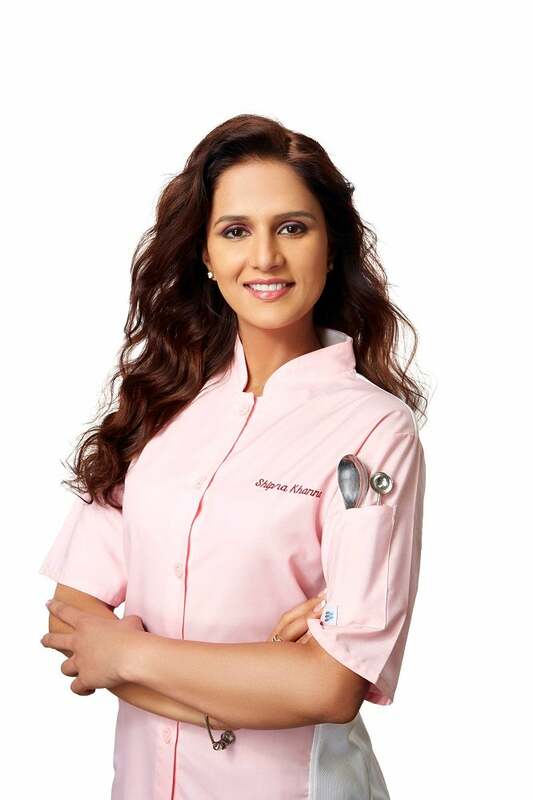 Likewise, for Masterchef Shipra Khanna, cooking came as her salvation from a tormented marital relationship. “It’s unfortunate that even today, women are inflicted with dowry issues,” says Khanna. She remembers while watching the first episode of MasterChef, her mother asked her to participate in it. To which, “I did not take it seriously and told my mother that owing to my personal issues I wouldn’t even want to look out of the window. Forget participating in a national cookery show!” Eventually, she self motivated herself and participated in the second session. “Masterchef was a dream come true! I kept on doing my task without a word,” says the introvert adding “My confidence level saw its peak during the show and post that I found a better version of me,” shares one of the glamorous woman chefs of the world. This mother of two has written two successful culinary books by the names, The Spice Route and Sinfully Yours that earned her applauds. Today, she keeps herself occupied by empowering women from different NGOs across India and further plans to open an academy where she would groom, teach and empower women. “A woman needs to be established so, that keeps them afloat in case of emergency situations. How my luck turned for me was amazing but not for many. Hence I plan for this academy,” she adds. Further, she also wants to open a chain of restaurants pan India. “There was a time when I used to crave for love and while Masterchef, I actually understood the power of love and blessings. I owe my success to the uncountable known and unknown people,” exclaimed the 33 year old who run a popular food channel on YouTube with a team size of eight people. “Shipra’s Kitchen is for everyone who loves to eat and cook, but especially for those who find it difficult to nurture ingredients on a frying pan!” confirms the celebrity chef. Moreover, she has been the culinary face for countries like Australia, Dubai, China and Nepal etc and is the brand ambassador of Cox and Kings. “It’s a tough journey at the end. I could never imagine that I would travel countries through cooking. It always gave me solace. A trained classical dancer and a painter, Khanna finds peace in her dance and canvas. “Dance is a great stress buster for me while a canvas and colors instantly uplifts my gloomy mood.” Concludes she. When you enter Kalyani’s chamber in Rezon you would find it adorned with her daughter Tahira ,Thiara’s pictures clearly indicating her attachment with her which is nothing unique. However, what is unique is her story of success that revolves around Tahira. “Tahira was very small when we separated. Unlike other kids, she was never interrogative about the issue. Neither did she question me for the changes happening in both of our lives. My journey started that time,” remembers the former country head of luxury brand Christian Dior. Chawla took us to that time when she moved out of her in law’s house. “My in-laws were non-supportive. Tahira was my only concern and I took her upbringing as a challenge. I wanted to give her the best education to answer them what a single mother can do,” reminisces she. It was a beautiful Punjabi-Bengali wedding for Chawla, unless in 2006 she separated after several years of distress and dilemma. “My parents were never supportive of the marriage but somehow I had convinced them for this but ultimately things didn’t work out,” she says adding “though he loves Tahira but did not spend a penny on her upbringing.” However, much like her strong sensible mother, the 18 year old is brought up with strong values and understands her mother’s hard work. “Tahira is as much proud of me as I am for her. She is an all rounder in her school in England. Now looking at her, I understand I have succeeded because I had promised her only to give the best education,” exclaims Chawla.